Shirin Ebadi and the group of Iranian women activists who started a sit-in outside the offices of the United Nations in Geneva on December 20 to protest against the continued incarceration of their peer, Nasrin Sotoudeh, ended their sit-in today. Nasrin Sotoudeh, the Iranian lawyer who has been jailed in Iran since September on charges of “propaganda against the regime and collaboration with the Human Rights Defenders Centre”, ended her hunger strike yesterday at the behest of her family and numerous political figures who were deeply concerned for her well-being. As Sotoudeh languished in jail after almost three weeks of hunger strike while the Iranian judiciary remained unresponsive to her demands for a just trial, Shirin Ebadi along with Mahboubeh Abbasgholizadeh, Shadi Sadr, Parvin Ardalan, Mansureh Shojaee, Khadijeh Moghaddam and Asieh Amini, seven prominent Iranian women’s rights activists began a sit-in in front of UN offices in Geneva to focus attention on Sotoudeh’s plight. Tthese activists issued a statement on Wednesday maintaining that they had organized their sit-in “to enable the voice of Nasrin Sotoudeh to speak to the world” and also to enlist the assistance of the UN Human Rights Council to save their imprisoned colleague. “Unfortunately our protests have not been successful;” the statement goes on to add. “Nasrin and other political prisoners are still incarcerated under inhumane conditions. During the three-day sit-in many civil and human rights’ activists declared their support for the sit-in. 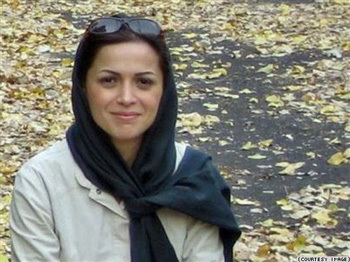 As a result, the protest against harsh conditions of Nasrin has evolved into a general demand for investigating unfair convictions of all political prisoners in Iran.” They point out that in the mean time two more women’s rights activists, Bahareh Hedayat and Mehdieh Golrou, sentenced to long imprisonment terms, have started a hunger strike to protest against their dire situation in prison. They list the numerous other imprisoned dissidents such as Mohammad Nourizad, Ebrahim Yazdi, Mohammad Oliaeifar and Moansor Osanlo who are suffering from fragile health in Iranian prisons while the judiciary refuses to provide them with adequate health care. They refer to the plight of student activists, such as Ahmad Zeydabadi and Abdollah Momeni, as well as journalists such as Bahman Ahmadi Amoi, Massoud Bastani and Nazanin Khosravani imprisoned for long prison terms or held in legal limbo. 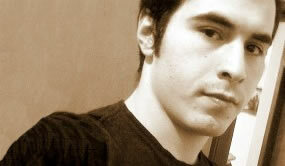 Iranian blogger, Hossein Ronaqi Maleki’s 15-year prison term has been approved by an Islamic Republic appellate court. RAHANA website that covers human rights news in Iran reports that Ronaqi has been kept in solitary confinement for over 11 months and was given 15 years in prison by a preliminary court. Hossein Ronaqi Maleki went on a hunger strike in September in protest to his sentence and the behavior of the judiciary officials in prison. According to Reporters Without Borders this is the heaviest sentence to date for a blogger save the 19-and-a-half-year sentence given to another blogger, Hossein Derakhshan. Reporters Without Borders announced that the Islamic Republic regards bloggers, like journalists, as its enemies and has been issuing heavier sentences for them. Iranian journalist Masih Alinejad talks to BBC World Service on Freedom of press and expression in her homeland, Iran, and her current country of residence, UK. Journalists are obsessed with Twitter. Obsessed. They use it, talk about it, analyze it, deconstruct it, reconstruct it, love it, hate it, capitalize on it, become experts on it, monetize it, argue about it, and become micro-famous on it. Twitter is popular not just because it allows journalists to crowd source with thousands of people or because it’s a fun way of amassing followers and inflating egos. It also gives reporters a chance to create a new system of reporting. In the past, journalists were confined to their words and research methods, all dictated by traditional routines. Now they can create new strategies, use different tools, brand themselves differently, and propose new ideas. Twitter has given them hope and direction to do this because it has given them a public forum in which to loudly speak their ideas. Twitter is hope for the future. It is promise of change. Indeed, it’s a great time for journalists — mostly because the Internet can now help them find credible sources of information. In the days of early AOL chat rooms, the public saw the Internet as a strange, “Lord of the Flies”-type society, where anonymous creeps could not be trusted. Now, not only has the Internet become a place where people can trust each other, but professionals are actually learning to take it seriously. Twitter has proven to be a credible source for breaking news, real time, and it can help build a future where the reader and the reporter can trust each other again. Folks were tweeting 5,000 times a day in 2007. By 2008, that number was 300,000, and by 2009 it had grown to 2.5 million per day. 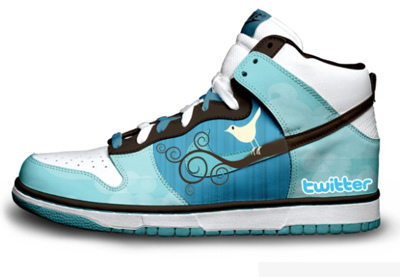 Tweets grew 1,400% last year to 35 million per day. Today, we are seeing 55 million tweets per day—that’s an average of 600 tweets per second! Why was a Newsweek reporter (Maziar Bahari) sentenced to an extra 6 months of prison time in Iran? Roxana Saberi, an American journalist who was held in Iran as a political prisoner in 2009, looks at possible motives for her arrest. She speculates that her arrest was a political act, formulated by Iranian hardliners to intimidate journalists and moderate Iranians who wanted to reach out to the West.